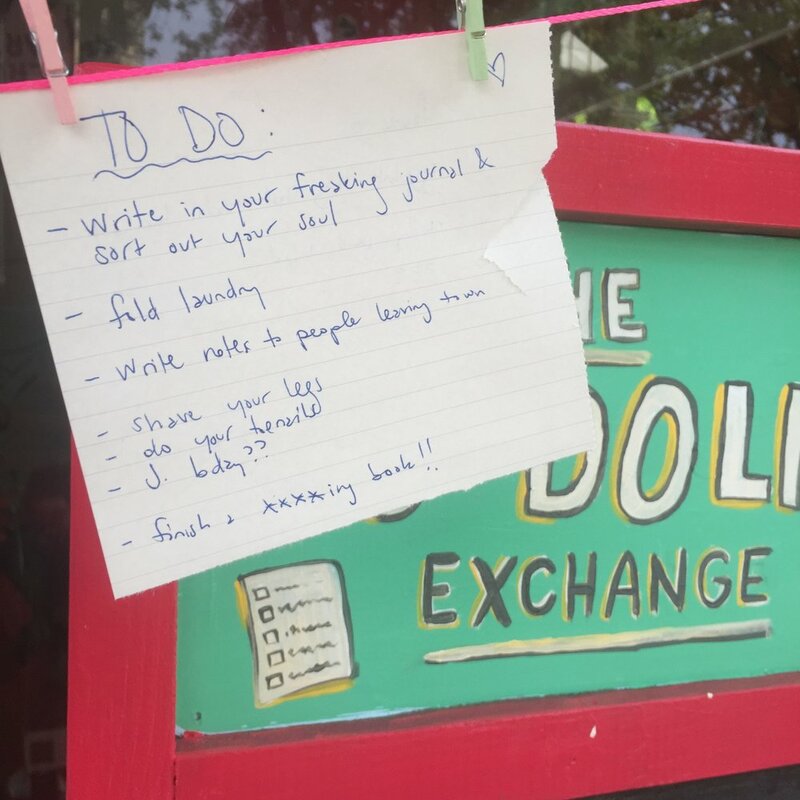 Ever get sick, tired, overwhelmed, or just plan bored with your to-do list? We do. We wanted some new to-dos. 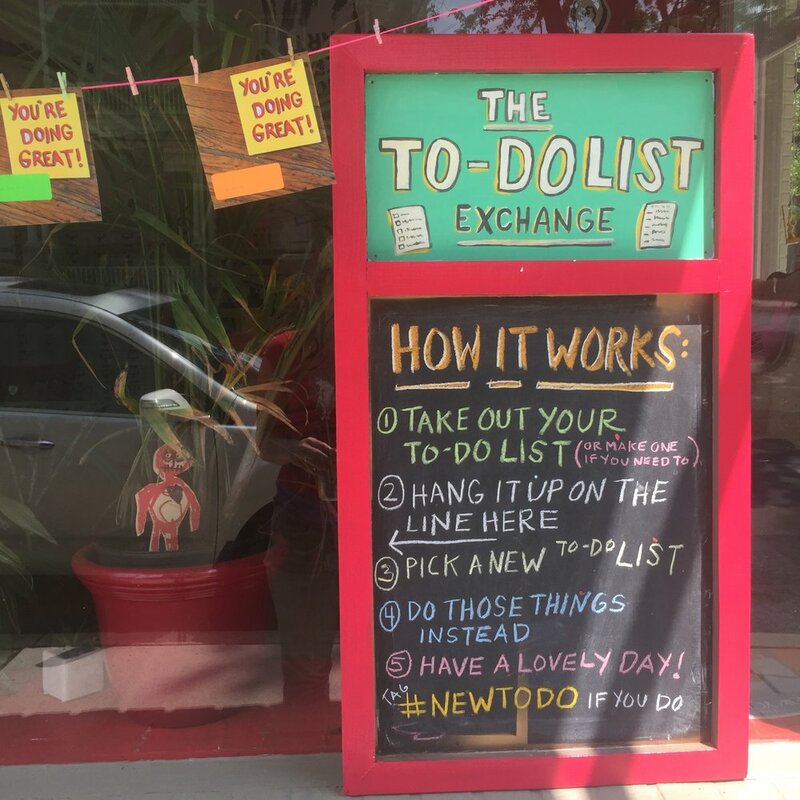 So we made a snazzy TO-DO LIST EXCHANGE in our window with some much better things to do. Thank you to everyone who gave us some nice to-dos.